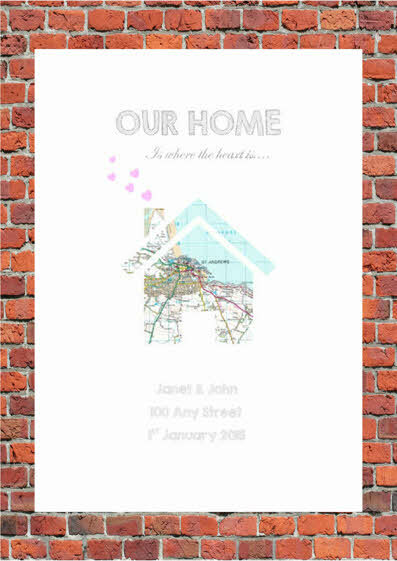 Each print contains a personalised map in a cute house shape, the names required, street or area and a date. Each print is A4 in size and comes unframed, printed centrally on quality white card ready for you to display how you wish. The map image will be similar to the images shown but will differ depending on the area you have chosen. In the boxes provided please enter the names, street and date (if required) for the text underneath the map and also the postcode or area you would like for your map.